Acclaimed Epfi Records group Trio Riot are playing two northern dates this week before heading south. 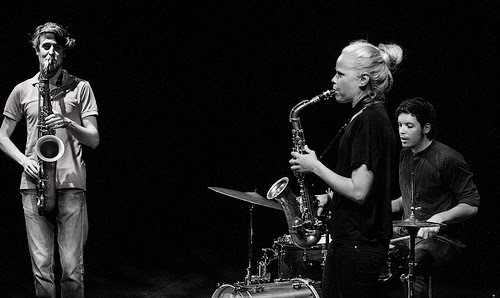 The group, formed in Helsinki in 2009, features Mette Rasmussen on alto saxophone, Sam Andreae on tenor and David Meier on drums. Their music is a visceral blend of free jazz and punk rock, these two influences blending well under the strength of the band's high energy performances. Trio Riot will be playing Schmazz in Newcastle tonight (25th) and Dulcimer Bar in Manchester tomorrow (26th). Click HERE to see a video of Trio Riot playing their composition 'Candid'.